Team Honda to FX in full strength! 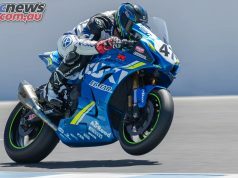 Hook is still searching for his maiden superbike victory at the circuit and is looking forward to debuting the new souped-up CB R1000RR SP at Phillip Island . “Every time I get on the Honda superbike I find something extra and take another step forward, which is the most pleasing thing for me,” said Hook. 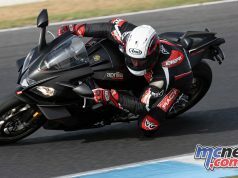 MCNews.com.au believes an announcement is imminent from Honda Australia that they will attack the 2014 Australasian Superbike Championship and AFX-SBK Championships, in unprecedented strength. Some contracts are still yet to be finalised but it seems a fait accompli that Team Honda will contest the FX series with 2013 incumbents Jamie Stauffer and Josh Hook, with Wayne Maxwell in some sort of satellite rider arrangement while Troy Herfoss will also receive some direct support. It seems that now the decision has been made to defect from the troubled ASBK series, Honda are going to come out all guns blazing to conquer FX with an unrivalled combination of talent and experience. Jamie Stauffer is a multiple champion while Josh Hook is widely recognised as a rising talent yet to realise his full potential. After being left out in the cold after Team Suzuki pulled out of season 2014, reigning ASBK Champion Wayne Maxwell returns to Honda. After a season in the road race wilderness Troy Herfoss is eager to prove his mettle once again on the tarmac after recently finishing second at the star-studded Troy Bayliss Classic dirt track meeting. With the addition of such a strong Honda effort to the Terry O’Neill promoted series the 2014 season in FX looks, despite the recent tumultuous and politically torn years in Australian Road Racing, perhaps this year is where we see a new way forward with the best riders in Australia once again all meeting on an equal footing. NB: A couple of hours after this post Honda released the following statement. Team Honda Racing are thrilled to announce they will make their assault on the 2014 Australian road-racing stage with a strong three rider line-up. Multi-championship winner #27 Jamie Stauffer will once again be joined by up and coming rider #34 Josh Hook as well as reigning Australian Superbike Champion #47 Wayne Maxwell. Racing on board Honda’s new CBR1000RR SP, the Team Honda Racing riders will make their 2014 debut at the upcoming Phillip Island Championship and will also compete in the 2014 Swann Insurance Australasian Superbike Championship. 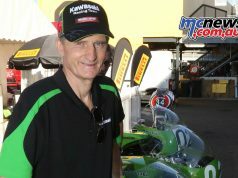 The team’s participation in the Australian Superbike Championship is yet to be confirmed. With the focus on the Superbike category in 2014, Team Honda Racing is busy with race preparations and testing of the Motologic-built CBR1000RR SP. While #27 Jamie Stauffer and #34 Josh Hook will campaign under the Team Honda Racing banner, returning rider #47 Wayne Maxwell will race on board Team Honda Racing’s Motul Honda CBR1000RR SP. Thrilled to be returning to the Honda family, Maxwell is looking forward to podium results in 2014. “It’s great to be coming home to Honda, I have a long history with the manufacturer and I have experienced a lot of success with them in the past” explained Maxwell. On the back of his Championship win last year, Maxwell knows he is in good racing form; “I am expecting a lot from the upcoming WSBK weekend, I am keen to get out on the track and am hoping to reward Honda with a win”. “Josh Hook has gone from strength to strength since his Superbike debut in 2013 challenging the front runners right from his first race. Looking forward to battling on board the CBR1000RR SP, Hook said; “The CBR1000RR SP is going to be an unreal machine, both my mechanic and I are really looking forward to getting out on the track to see what it’s capable of. We’re heading down to Phillip Island now for testing so after that we’ll know where we are at. I can’t wait to get the season started”. Welcoming Motul as a new sponsor into the Honda Racing family, the specialist in high-performance engine oils and lubricants will join Team Honda Racing for 2014 focusing predominantly on Wayne Maxwell’s Motul Honda CBR1000RR SP. 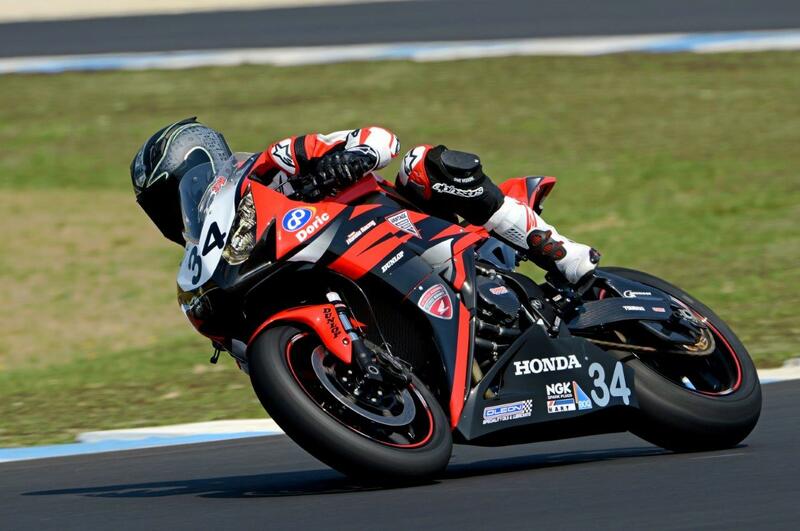 Anticipation is high for the first season outing of 2014 at the Phillip Island Championship on February 21-23. The Honda riders will have an opportunity to put the Motologic-built CBR1000RR SP through its paces and show the public what they’re capable of on the international stage.